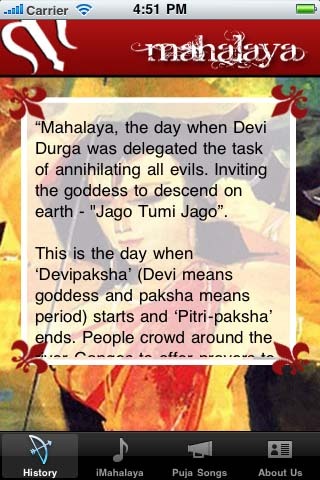 Well this puja 2010, bengalis might have a new thing to cherish. 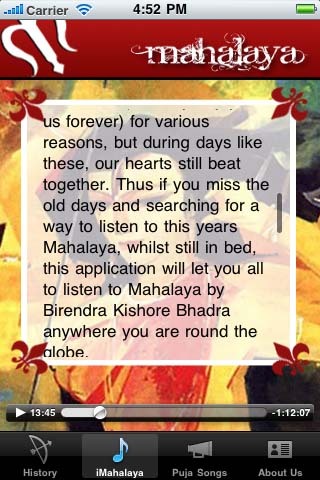 As Mahalaya 2010 approaches (7th oct 2010), iMahalaya, an application that lets you listen to Mahalaya by Birendra Krishna Bhadra, on your iphone/ipod touch hits the apple store. This is a limited time free application and a must download for all bengalis round the globe. About Birendrakishore Bhadra (Wiki) : Birendra Krishna Bhadra (1905 – 1991) was an Indian broadcaster, playwright, actor and theatre director from Kolkata, and a contemporary of Pankaj Mallick and Nazrul Hasan. He worked for the All India Radio, India’s National Radio broadcaster for several years during its early, starting 1930s, and during this period he produced and adapted several plays. Today, he is most known for his soaring Sanskrit recitation through a two hour audio program, Mahishashura Mardini (Annihilation of Mahisasura) (1931), a collection of shlokas and songs broadcast by All India Radio Calcutta (now Kolkata) at 4 am, in the dawn of Mahalaya. He also acted and directed several plays in Bengali theatre and even wrote screenplay for film, Nishiddha Phal (1955). 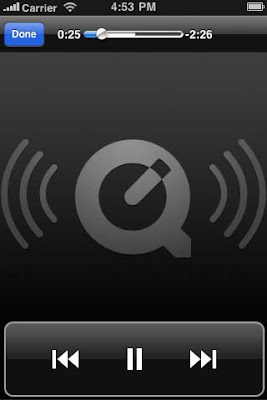 So, Dont forget to download the must listen : iMahalaya application. Mahalaya Download from iTune Charts ! !